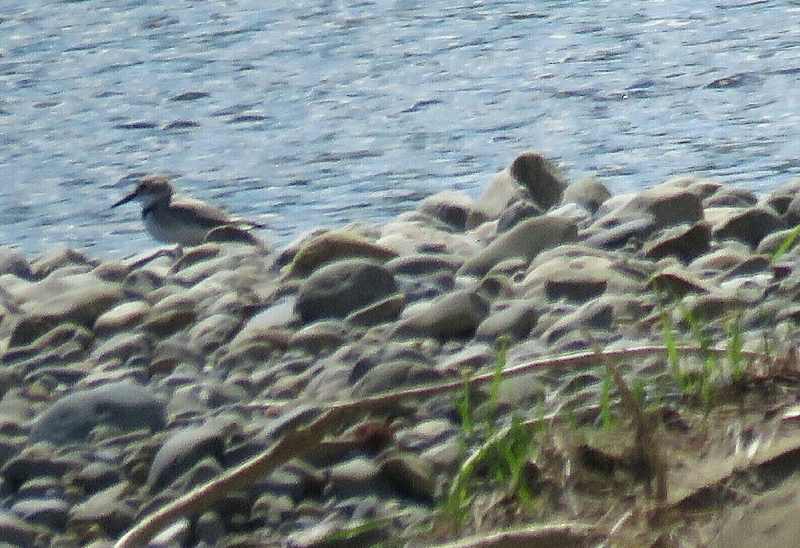 Even though this photo was taken at a distance and thus you can't see some details, we can ID this plover as a Wrybill by its small size; long bill (other small plovers in New Zealand have short bills); white throat and underparts, with a black band across breast; grey crown, nape and upperparts and white forehead (if you look closely you can see this in the first photo). The distinguishing feature which can't be seen in these photos because of the pure profiles of the bird, is the curve of the bill to the right. 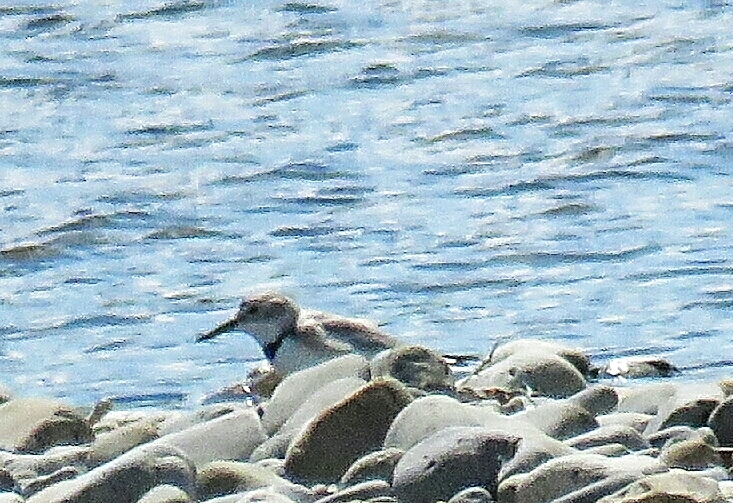 The Wrybill is the only species of bird with an asymmetrically-turned bill. 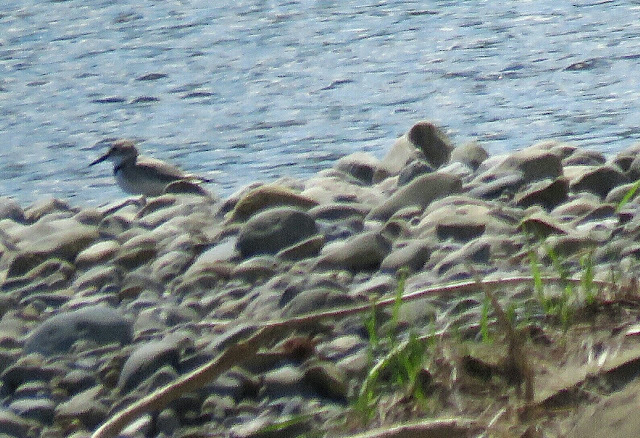 The Wrybill is endemic to New Zealand and is a new species to our Photographic Life List, which now stands at 748.